Crash Bandicoot is a platformer that was developed by Naughty Dog, produced by Universal Interactive Studios and published by Sony Computer Entertainment. It was released for the Playstation on August 31, 1996 in the US, November of 1996 in Europe and December 6, 1996 in Japan. It was later released on the Playstation Network in 2006 and 2007. 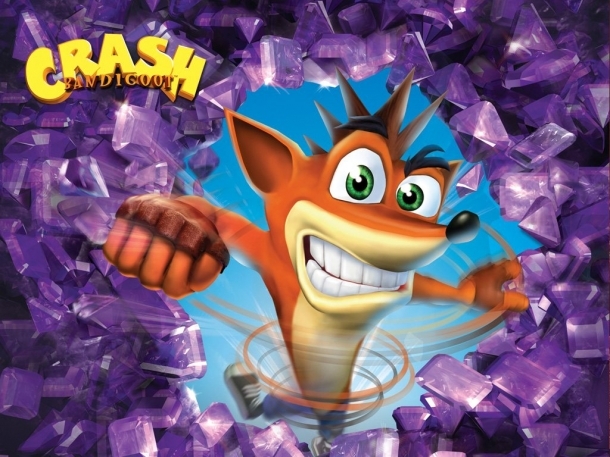 Crash Bandicoot is the first game in the Crash Bandicoot series of games, and the first developed by Naughty Dog. The game was one of the best selling Playstation games of all time. It sold over 500,000 units in Japan, making it one of the first western games to become a success in that country. Enter the following sequence at the password screen for access to all 32 levels, all gems, and both keys. After entering the first line, two more lines will appear.